You can find a number of carpet stores in the area, but how do you choose the one that is right for you? We invite you to come to Schenectady Floor Covering for outstanding service and an extensive selection of carpet flooring in Schenectady, NY. Let us serve you as we have served countless customers for three generations. In fact, much of our success has been built from satisfied customers who have sent us countless word-of-mouth referrals. Carpet flooring gives a timeless look and cozy home feel for you, your family, and guests to enjoy for years to come. Choosing flooring from us is made easy with the help from our sales and design professionals in our large showroom. Our carpet store is affiliated with a well-known franchise that provides top-notch training to our employees, so we are the most knowledgeable about our carpets and flooring products. We carefully weigh your needs, including style preferences, performance expectations, and budget. Expect a quality product at a great price. Karastan is known for the quality and craftsmanship of its carpets and rugs. This manufacturer uses fine materials and innovative methods to turn out carpeting that’s simply stunning in its beauty. Choosing Karastan carpet for your home or business is making an investment that yields beautiful results for many years to come. Ask our professionals to help you select Karastan for your home. Berber carpet is a special style that has yarns that are looped and uncut on the carpet surface. The pile height can vary from low, tightly constructed to a more luxurious high-level pile. It is known for its strength and soil-hiding capabilities. This style is ideal for heavy traffic areas and can be constructed as a level-loop or multi-loop carpet. Consider it for its versatility as a stylish option as well as a work option. 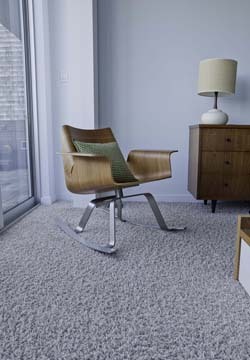 We offer a variety of option in Berber carpeting that is suitable for commercial and residential applications. Whether you need something that welcomes clients and customers or something that holds up against heavy foot traffic, you’ll find carpeting that meets your many demands. Good commercial carpeting is simple to maintain, saving your business time, energy, and money. Our sales and design professionals can show you a number of brands that fulfill your requirements. In addition, we recommend the fibers, colors, and patterns that match the décor purpose of your place of business. We understand how important your bottom line is, so you can expect to choose from a huge selection that works within your budget. Over our years in business, we have found that professional flooring installation is an absolute must for performance and longevity. Once you have picked out your favorite floors, schedule an appointment with our certified installers. Our professionals have product-specific training and years of experience in installing the different flooring products that we sell. Extend the lifespan of your new flooring with professional carpet installation. We send our certified installers to your home or business to ensure the beauty and longevity of your new carpets. We are so confident that you will be happy with our services that we offer you the industry’s strongest guarantees. If you experience problems with the installation, let us know, and our professionals come to your house to make it right–at no cost to you. Contact us today for design help in selecting new carpeting for your home or business. We proudly serve customers in Schenectady, Niskayuna, Clifton Park, Guilderland, and Delmar, NY, and the surrounding areas.